SpeeCo Inc. and Woods Equipment Company, of Oregon, Ill, are recalling about 15,140 4-way wedge accessory for hydraulic log splitters sold in the U.S. and Canada. The 4-way wedge accessory can loosen or detach from the log splitter during operation and strike an operator or bystander. 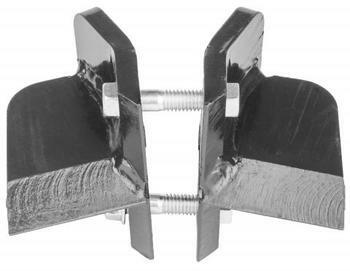 This recall involves 4-way wedge accessories used on SpeeCo, CountyLine, Country Tuff, and Woods hydraulic log splitters. They were sold under the SpeeCo and Woods brand names. The SpeeCo brand has model numbers 577483 and 581199. The Woods brand model is 581196. Brand names and model numbers are printed on the packaging. The wedge accessories, manufactured in China and India, were sold at tractor Supply Company stores in the U.S. from July 2016, through January 2018, under the SpeeCo brand; Orscheln Farm & Home Stores in the U.S. from August 2017, through January 2018, under the SpeeCo brand and authorized Woods dealers in the U.S. and Canada from August 2017, through January 2018, under the Woods brand for about $70. Consumers may contact SpeeCo at 800-525-8322 between 8 a.m. to 4:30 p.m. (CT) Monday through Friday, by email at speecoproductrecall@speeco.com or online at www.speeco.com and click on the recall information banner for more information. Woods may be contacted at 800-319-6637 for Tech Services between 8 a.m. and 4:30 p.m. (CT) Monday through Friday, by email at woodsproductrecall@woodsequipment.com or online at www.woodsequipment.com for more information.